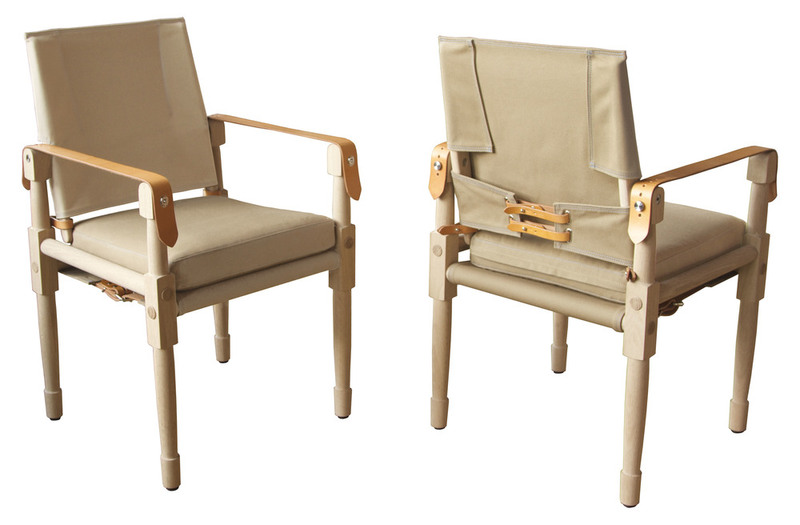 Unfinished teak, Perennial fabric and faux leather outdoor straps. The Chatwin chair is available in 2 sizes; the original with an 18” wide cushion or the new larger version with a 20” wide cushion. Both chairs have standard arm strap height of 26 3/8”, however custom arm strap heights can be ordered. 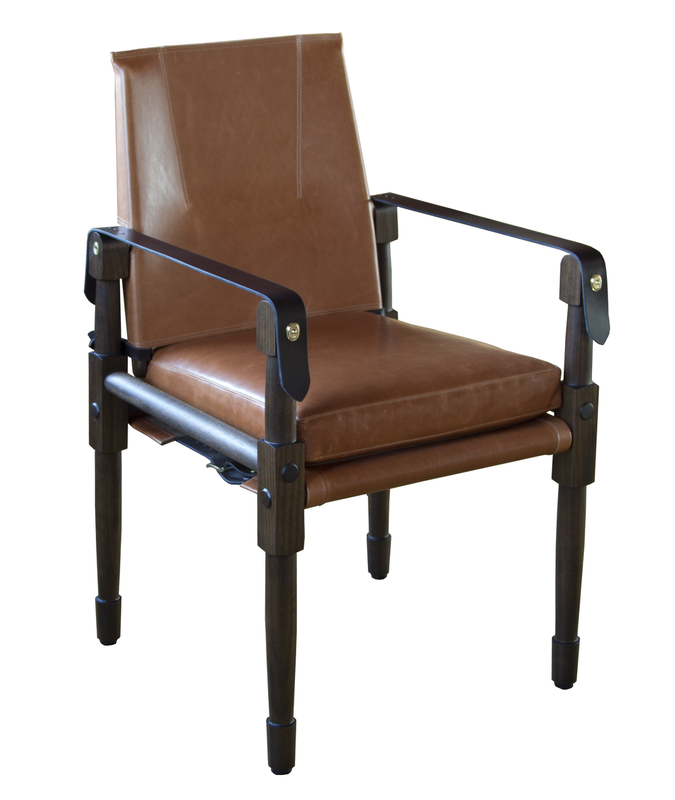 The angle of the chair’s swivel backrest is maintained with 2 leather straps.